Authentic reproduction of the jersey, manufactured by Classic Sportswear. 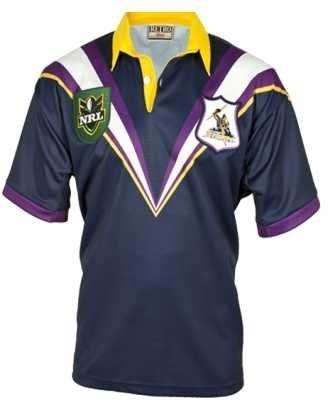 Made from 100% Polyester, this jersey features an embroidered Storm and NRL emblem. This was the Melbourne Storm's first jersey, in their first season of NRL competition. The 1998 League featured 20 teams and Storm managed to win 17 out of 24 games in the regular season finishing 3rd on the ladder. They even managed to defeat the mighty Raiders in the semi finals but lost to the Broncos in the preliminary finals. 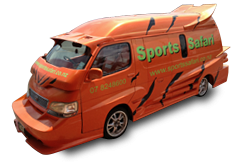 However they won the hearts of the Melbournians and became a force to be reckoned with.